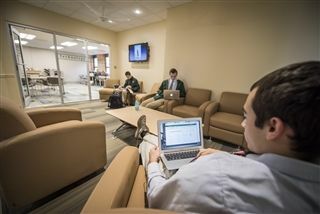 For more than eighty years our Archmere Academy community has nurtured the roots that support and sustain the Norbertine tradition of educating young men and women as courageous, thinking, empathetic leaders “prepared for every good work.” Now we have been tasked with envisioning and empowering Archmere’s future. To help chart this course, members of our Archmere community in 2012 embarked on a strategic planning process. A subsequent comprehensive planning study identified several priorities. It affirmed St. Norbert Hall as the facility priority, while ensuring that annual and endowment fundraising goals keep pace with operational needs. to accommodate a student body of 400. Today, Archmere enrolls over 500 students served by 64 teachers and counselors. 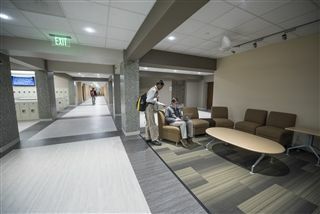 St. Norbert Hall has not been significantly or systematically renovated since its original construction. St. Norbert Hall renovations will create flexible learning spaces to support 21st century teaching methods and will foster an environment for communication, collaboration and ethical decision-making. Once completed, this project will bring operational efficiencies, incorporate integrated technology, and provide teachers and students opportunities to focus on analytical and creative thinking and problem solving. To insure a thoughtfully transformed St. Norbert Hall that reflects the value and values of an Archmere education, we must raise $8.5 million to fund these renovations. Archmere is balancing the renovation cost and construction financing with current pledges and donations. Therefore, fundraising is time sensitive and urgent. As a member of our Archmere community, please join me in supporting this vital effort. Archmere has been so richly blessed, and I ask you to continue to keep the Archmere community in your prayers as we work to successfully meet the challenges before us. 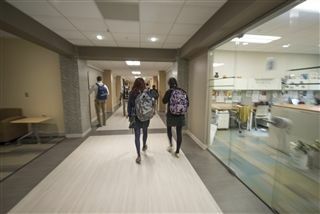 The centerpiece of the renovation is a Library and Learning Commons created from the former library space to facilitate interdisciplinary studies, discovery-based learning, analytical problem solving and research. Redesigned and additional flexible classrooms, clustered by discipline. Student study lounges and independent learning spaces on all floors to provide dedicated environments for collaborative or individual research and preparation. Making St. Norbert Hall ADA compliant, with ramp access from designated parking areas and elevator access to all three floors. Improving the building’s HVAC system’s efficiency by upgrading the heating system, adding central air conditioning and enhanced motion-activated lighting. Upgrading electrical, plumbing, communication infrastructure and life safety and fire suppression systems. Replacing the 30-year-old roof, and refurbishing windows and doors to gain better energy efficiency and enhance the building’s aesthetics. A completed and fully functioning St. Norbert Hall is an educationally sound and cost effective goal. Your commitment to renew St. Norbert Hall is key to Archmere’s fiscal stability and project process and is essential for current and future generations of Archmereans. Please consider a tax-deductible gift or pledge today and respond with zeal. For information about gift naming and recognition opportunities, as well as endowment or scholarship giving, contact Katherine Ball-Weir, CFRE, Director of Institutional Advancement, at 302-798-6632 Ext 857.